land development codes that create great places. FORM-BASED CODES INSTITUTE is a professional organization dedicated to advancing the state-of-the-art in form-based land development codes. FBCI provides beginning and advanced courses in form-based coding and sponsors annual code awards with the sponsorship of the Richard H. Driehaus Charitable Trust. (final lecture of "Designing a 21st Century City,"
SAMPLE CODES: Six form-based codes are available here for review. Three are written as "mandatory codes"; two are implemented by municipal assignment of new zoning districts. A third requires rezoning by rural landowners if they choose to develop their land; a fourth requires rezoning to allow denser mixed-use infill than would otherwise be allowed. The Lee County Compact Communities Code combines these methods. Each code is written to be fully integrated with the remainder of the land development codes for these communities. LEE COUNTY, FLORIDA -- Lee County's Compact Communities Code was adopted in June, 2010. This code implemented recommendations from a regional planning effort for Southeast Lee County for a form-based code that would allow administrative approval of new villages at specified sites. Development rights are concentrated, protecting agricultural and environmental lands through TDR (transferable development rights). This code replaced the previous 10-acre-lot zoning. This code also can be used to rezone infill sites at the initiative of landowners. This code was a winner of the 2011 Driehaus Form-Based Codes Award from the Form-Based Codes Institute. FORT MYERS BEACH , FLORIDA -- This is an excerpt from the zoning chapter of the Fort Myers Beach land development code, adopted in March 2003. This code uses a mixture of form-based and conventional zoning districts; it refers to the form-based districts as "redevelopment districts." Features of this code include mandatory design standards (not guidelines) for all commercial buildings; a new form-based zoning district for downtown; and all zoning districts use a streamlined method of assigning land uses as described in Tables 34-1 and 34-2. This code was drafted by Spikowski Planning Associates with assistance from Dover, Kohl & Partners. Entire Land Development Code is available by clicking here. ST. LUCIE COUNTY, FLORIDA -- A new form-based code has been adopted for a 28-square-mile area just beyond the urban fringe of the city of Fort Pierce in northern St. Lucie County, Florida. This effort is the result of a "Towns, Villages, and Countryside" (TVC) master plan prepared for St. Lucie County by the Treasure Coast Regional Planning Council in 2004. The TVC plan combines agricultural preservation and limited development. Existing development rights can be exercised only by concentrating them in new town or villages, each to be surrounded by continued agricultural activity. These regulations provide a form-based code to implement this master plan. The code contains several features of interest to practitioners. First, unlike most form-based codes, it is being adopted prior to the physical design of individual villages. The code provides explicit standards for each village, including minimum percentages of the land that will remain as "countryside" and assignment of the developable portion of each village into zones based on an urban-to-rural transect. A regulating plan for each village must identify specific transect zones and assign allowable street types and lot types in accordance with standards in the code. Each regulating plan is subject to approval by the Board of County Commissioners through a PUD-like rezoning process. This plan and code received the annual Award of Excellence from the Florida Chapter of the American Planning Association in 2006. The code received one of the inaugural Driehaus Form-Based Codes Awards from the Form-Based Codes Institute in 2007. Details are available from the Treasure Coast Regional Planning Council. SARASOTA COUNTY, FLORIDA -- A new form-based code was adopted by Sarasota County, Florida, in August 2007; click here for details. HALLANDALE BEACH, FLORIDA recently adopted created new codes for two designated Regional Activity Centers (RAC). The Central RAC code, a form-based code, is centered on the existing civic complex and a proposed Tri-Rail commuter rail station. 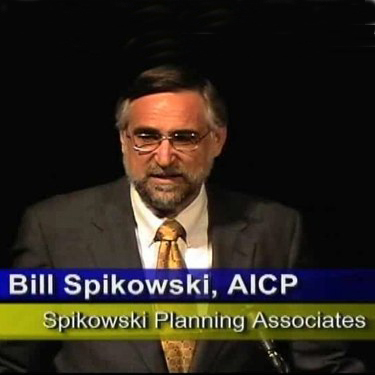 Spikowski Planning assisted the Treasure Coast Regional Planning Council and city staff in creating this code. CAPE CORAL, FLORIDA -- This a proposed code completed in 2003 for downtown Cape Coral. Three new form-based zoning districts are created (Core, Gateway, Edge) to implement the design concepts in the Design Downtown Master Plan by Dover, Kohl & Partners. In this code, permitted uses are listed in the conventional fashion to mesh with the city's existing code. This code also includes mandatory design standards (not guidelines) for all new buildings. This code was drafted by Spikowski Planning Associates and Dover, Kohl & Partners. A significantly modified version of this code was adopted by Cape Coral in November 2006.